Modern apartment in residential tower Noorderlicht in Utrecht city centre.The modern apartment at Westerdijk, situated in the recently opened Noorderlicht building, consist of a living room with kitchen, bedroom, bathroom and separate toilet. 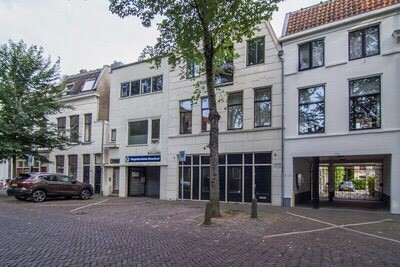 The apartments are located on edge of Utrecht's city centre, close to shops, supermarkets, restaurants and public transportation. The apartments are equipped with WiFi, towels and bed linen, TV with CD/DVD player, washing machine/dryer.